Product prices and availability are accurate as of 2019-04-19 12:14:07 UTC and are subject to change. Any price and availability information displayed on http://www.amazon.com/ at the time of purchase will apply to the purchase of this product. Stimulating interest in children is key to potty training success. Positive reinforcement gives children pride and a sense of self-accomplishment. The third edition of this book has been completely revised with 126 glossy stickers to catch children s attention. Motivate and reward children using the 126 stickers. Stickers are circles of one inch in diameter and each sticker has an image of different potty related subjects - no repetition. You will find stickers with soap and towels (as reminders to wash hands), toilet rolls, a variety of potty chairs, cute motivational sayings like "You can do it!" and more. 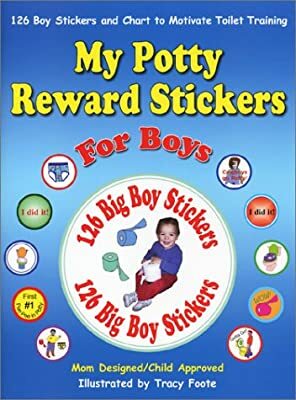 Many stickers even have toddler boys for children to imitate. The yellow chart included opens up to hang like a calendar. 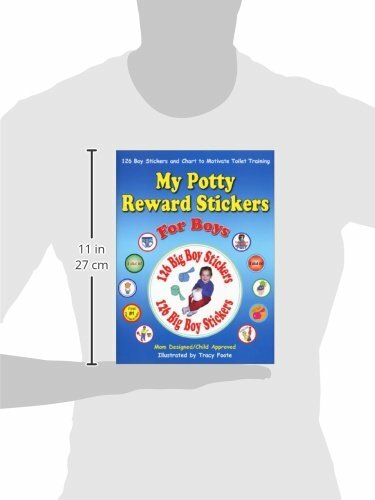 After successful potty attempts, children are rewarded with a sticker to place on the chart provided. Also included are a few ideas on what a parent or childcare provider could discuss about each sticker, thus increasing communication between adult and child. Potty training works when it's fun!